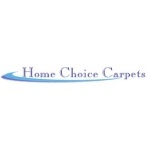 Homechoice Carpets are a family owned and operated company with experience in domestic and commercial carpet and floor coverings across north west Kent. Established in 1971 our focus on bringing services and products to our customers has helped us grow and thrive for almost four decades, accumulating a wealth of practical experience with all kinds of floors in all kinds of places. We're proud to still be a family company with generations spread across the office and fitting team; creating a friendly company atmosphere and an absolute pride in delivering the highest standards of work, customer care and communication. We're never happy until you are which earns us many recommendations and repeat business. Although we'd encourage you to take it easy, save time and utilise our mobile sample libraries, you're always just as welcome at our offices where we also keep a range of catalogues and samples and you'll probably meet Tricky and Dicky*! So whatever your flooring needs, from plush home carpets to industrial vinyl, showroom laminates or office carpet tiles, contact us and let the floor shop come to you! *Surfers local to us may recognise our two rescue dogs, Tricky and Dicky, either from visiting our offices or our local press adverts. We found them together abandoned in some nearby woods, terribly malnourished and suffering from all kinds of ailments. We're pleased to have them both back in great shape and working hard as our advertising models! Based in Whitstable we work across North West Kent offering a unique carpet and flooring service; our specially adapted vans bring our complete range of carpet samples and flooring catalogues directly to your home or office where you can easily compare flooring with current décor and save yourself the time and effort of travelling to a showroom!